Your child is like a little sponge. They watch and listen to everything you do in order to learn how to behave and think. Because your child looks up to you as a role model, your bad habits can become their bad habits. For instance, if you do not practice good oral hygiene, neither will they. In this blog, we will discuss some of the ways you can encourage your child to maintain a healthy smile. By enforcing your child’s oral health, perhaps you too can learn better ways to care for your teeth. February is the month designated to highlight the importance of pediatric dental health. Though it may not seem like it, childhood is the time to put emphasis on dental health. Without teaching your child how to properly care for their teeth, they will never learn and thus, never continue those behaviors in adulthood. 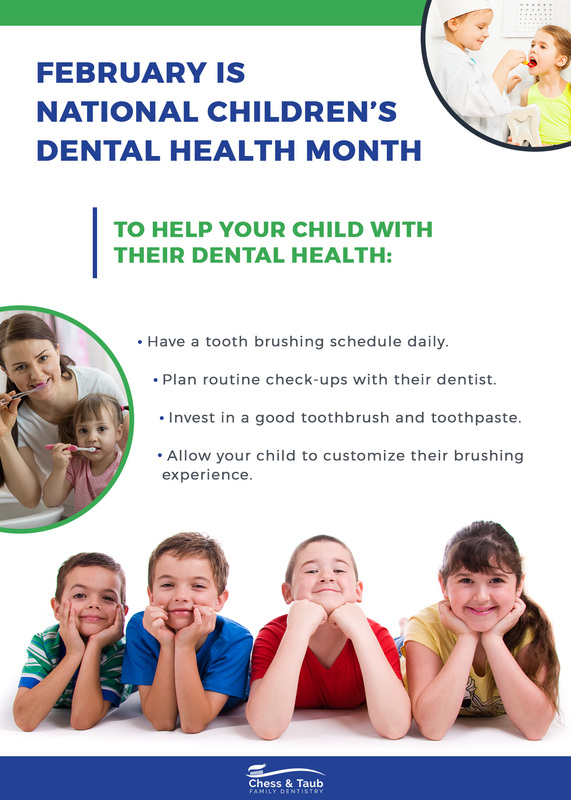 By teaching good dental health now, you can ensure that your child will know the importance of their teeth and how to properly care for them. When this education is lacking, this is when most children and adults will have to visit the dentist more often. This February is a great time to set up a dental appointment. 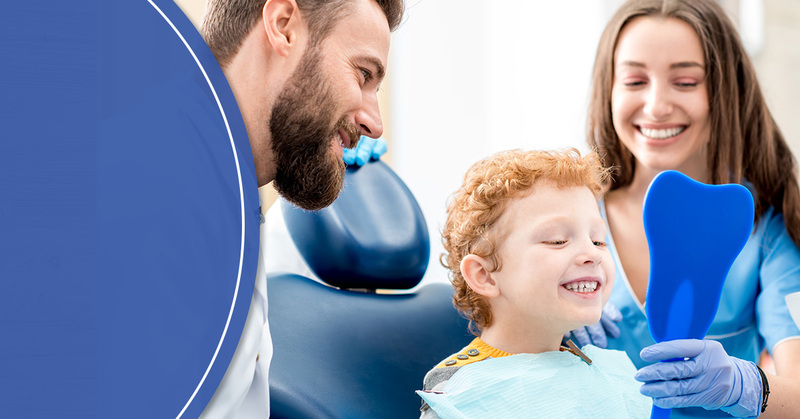 In general, the best way to ensure that your child recognizes the importance of dentists is to meet with them regularly. According to most dental professionals, each member of your family should meet with their dentist twice a year. This schedule ensures that your teeth are checked up on regularly and cleaned thoroughly. It is important that you set routines with your child. This means that you and your child should brush your teeth after breakfast and dinner. It is said that you should be brushing your teeth twice a day to maintain your teeth. However, for your child, this number should be raised, especially due to all the sugar they may be ingesting. If your child brushes their teeth, you should not let them drink milk right before they sleep. Though milk is a powerful drink to help your children sleep, it is filled with natural sugars that can lead to tooth decay. When typing to reassure your children that brushing their teeth is important, it is crucial that you invest in a good toothbrush and toothpaste. By a “good toothbrush,” we mean opting for an electric toothbrush or changing out manual toothbrushes when the bristles are worn down. It is also important that you allow your child to customize their own brushing experience. This means you should let them choose their own toothbrush to help excite them and customize their own brushing experience. Also, by allowing your child to own their own toothbrush, this can help reinforce the act of brushing their teeth regularly. At Chess and Taub, we believe that starting your child with the best dental education is important. By visiting our dental clinic, you and your child will learn the importance of regular dental check-ups, as well as routine teeth cleanings. If you are interested in giving your child the best foot forward in their dental health, contact us today!